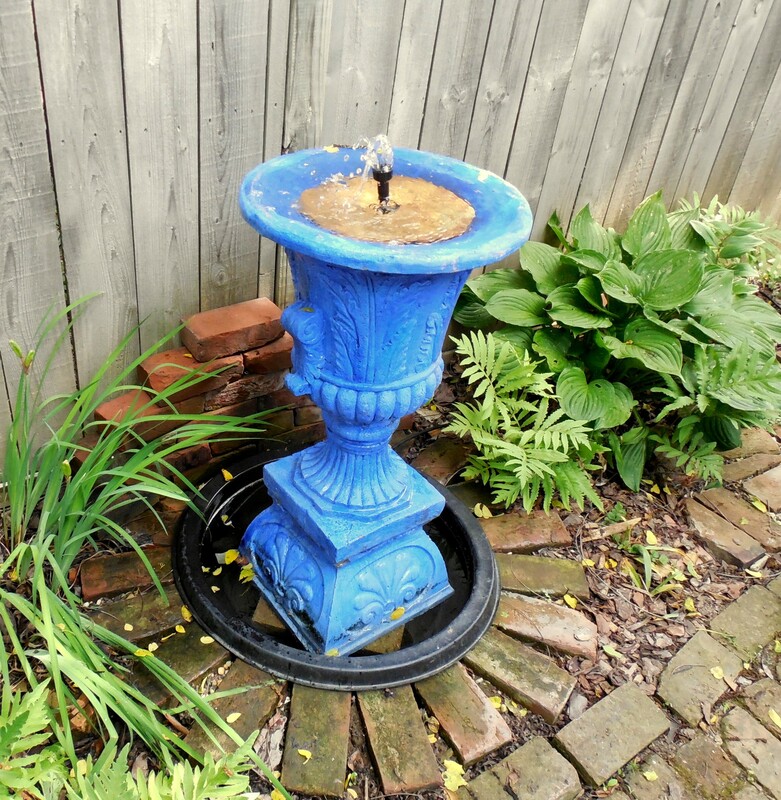 Of COURSE I couldn’t just BUY a ready-made fountain. then trek to Nicholasville and get the urn you see here. Then I had to paint it blue. Then stack it atop a square planter, atop a concrete paver slab, to get it the right height and to be able to fit the tubing underneath. Then I had to thread the tubing through the whole stack [harder than it looks — the urn alone weighs at least 75 pounds]. Then I had to take it apart, un-thread the twisted tubing, put it back together, and re-thread new tubing . . . .
It’s taken me since last YEAR. But I’ve made one juvenile robin so far very happy. 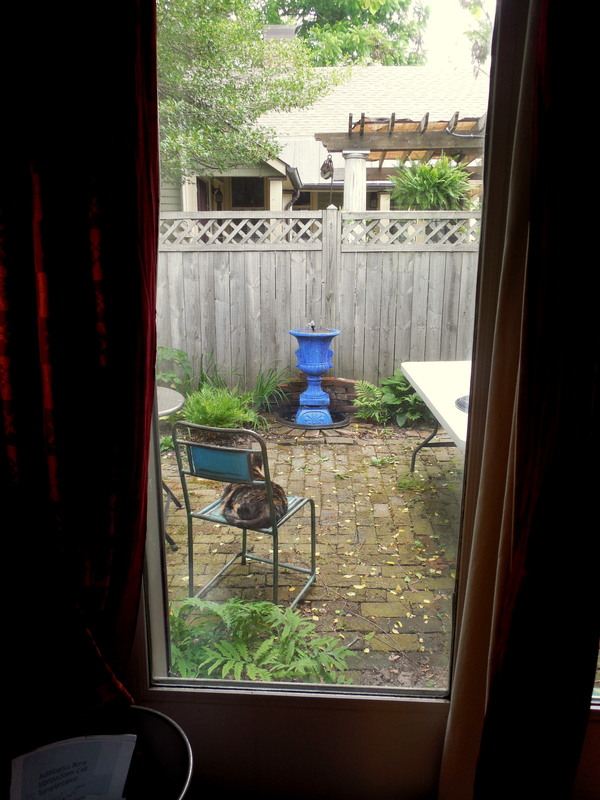 (I put a false floor inside the urn to make it shallow enough for birds not to drown in it). This entry was posted in Structure and tagged DIY. Bookmark the permalink.